Place Couscous into pot with two cups of boiled water – let sit for 15mins until water is fully absorbed. Baste Chicken breasts with Red Kellys Sweet Chilli & Lime dressing and let sit for half hour in fridge. Thinly slice Mango, Cucumber and Banana Chilli. 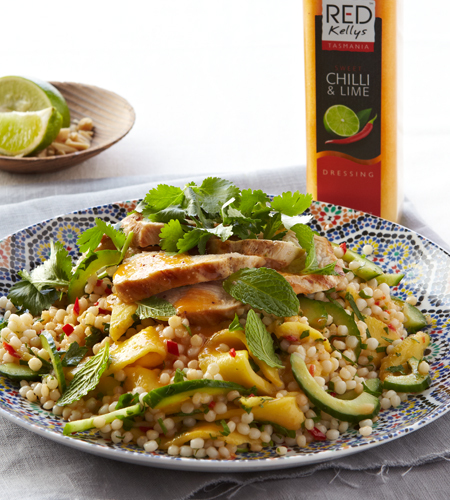 Thinly chop Coriander and Mint – Place into serving plate and add Red Kellys Sweet Chilli & Lime dressing and toss together. Pre-Heat hotplate to high heat and place chicken to cook until golden brown, slice into 5mm slices and set aside. To assemble transfer couscous to a large serving plate and stir in Red Kellys Sweet Chilli & Lime dressing, Mango, Cucumber, Banana Chilli. 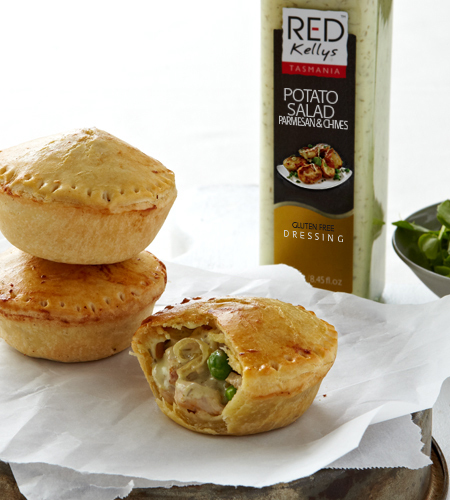 Combine all ingredients together and place sliced chicken on top with a generous sprinkle of chopped Coriander.